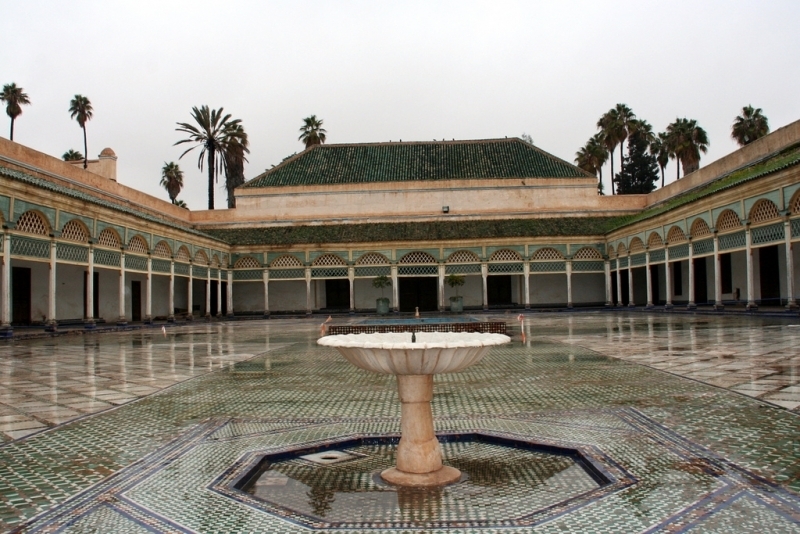 The Bahia Palace is located in the Jewish quarter (Mellah) of Marrakesh. 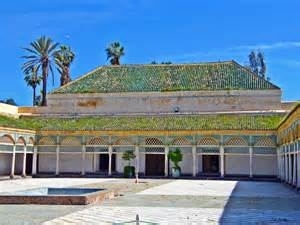 The building dates back to 1867 by Si Moussa, Grand Vizier of Moulay Hasan, and it has been built for Ahmed Ibn Moussa in the Alawi style that was popular at this time. This beautiful building is an excellent example of Eastern Architecture from the 19th century that represents trends and standards of the wealthy who lived at that time. There are 160 different rooms including richly decorated private quarters, reception rooms and courtyards with fountains and gardens. 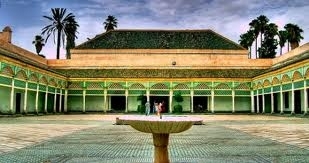 The style of the building is typical of Moorish architecture, and its peculiar beauty one of the main contributions to the typical image of the city. 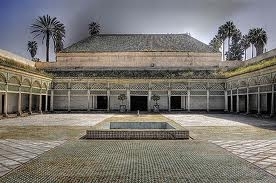 The beautiful Bahia Palace still works as a royal residence where the king entertains, but it is usually open for touring to the public to see how the royals lived.